“I wish I had cancer,” 50-year-old Alice Howland says to her husband, not long after learning she has younger-onset Alzheimer’s disease. With cancer, she explains, come pink ribbons and talk of empowerment and courage. With Alzheimer’s, she sees only shame and isolation ahead. The end of her career. The distaste and inevitable distancing from friends and family. And she is right. Though the Alzheimer’s Association and many other advocates are doing everything possible to change our perceptions about the disease, we still have a long way to go towards the compassion and empathy with which we now view nearly all other illnesses. Alice Howland is a fictional character, but in the movie Still Alice, Julianne Moore brings her to life with shattering clarity. A professor of linguistics at the top of her game, Alice is an almost unbelievable paragon of ordered, focused achievement. When she and her on-screen family are introduced, it’s hard to like them, they’re all so successful and so—chilly. It’s as if they live in a walk-in fridge, where everything is in its place and nothing is warm or sensual. But like a power outage in mid-summer, Alzheimer’s quickly breaks that down. We watch Moore melt in the middle of a presentation. We watch her forget that she just met her son’s new girlfriend. We see her panic because she can’t find the bathroom in her own home. Meanwhile, her husband and three grown children respond as they are able, or not. Turns out it’s the youngest daughter Lydia, played by Kristen Stewart, who has the love and depth to handle the horror of caring for Alice as she crumbles. Still Alice had me from the first minute. Alice’s story is not my mother’s, but it was close enough to make me squirm. 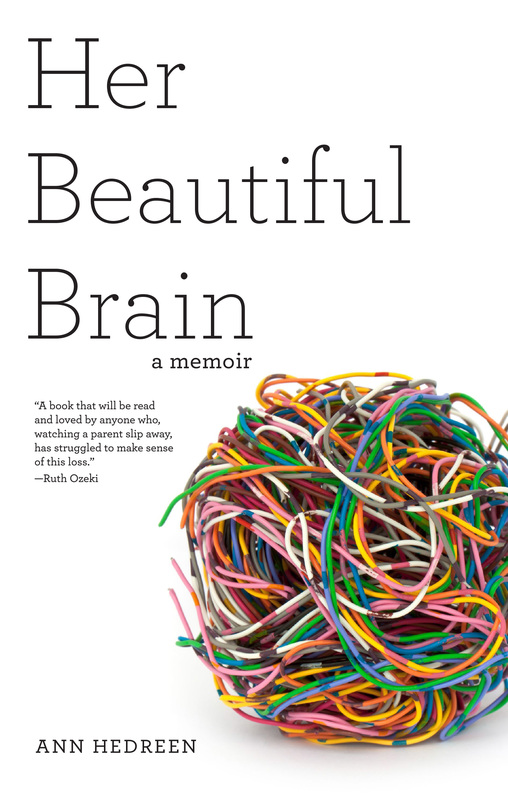 My mom was in her late 50s when she began to worry about her brain. Though she was not a Columbia professor, Mom was brainy and proud of it. And like Alice’s children, we were proud of our mother; proud of the fact she’d gone back to college after our parents divorced and earned a bachelor’s and a master’s degree. This made it even more surreal to have to accept Alzheimer’s as her fate. Still Alice brilliantly captures that surreal air that seeps into a family along with a diagnosis of early dementia, without the use of special effects or camera tricks but instead by staying very close to Alice and her ever more claustrophobic and confused point of view. Moore’s eyes say everything: not in a silent movie way but subtly, alternating between distilled effort and brackish flatness. 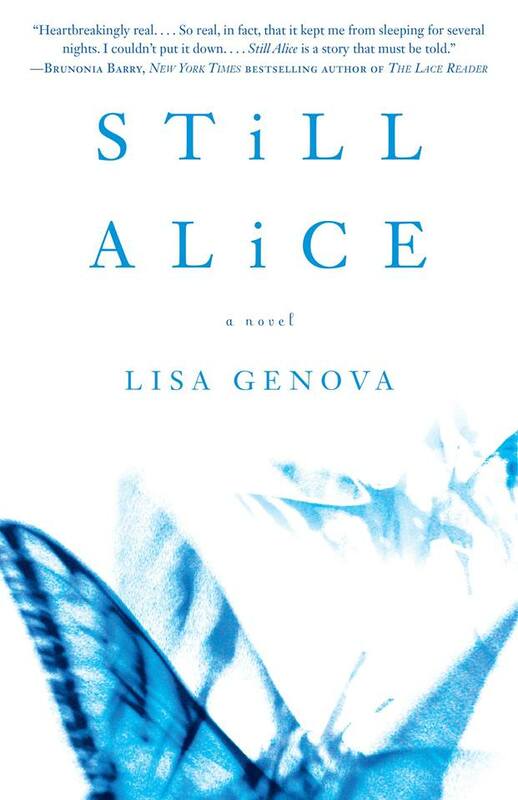 As I watched, I shifted from identifying with Alice and imagining the terror I know I will feel if Alzheimer’s turns out to be my fate to remembering how I was with my mother, identifying first with Anna, the severe oldest child who can barely stand to be in the same room as Alice and then with Lydia, whose heart is breaking but who is able to still treat her mom with humanity and grace. I wish I’d been Lydia more of the time. 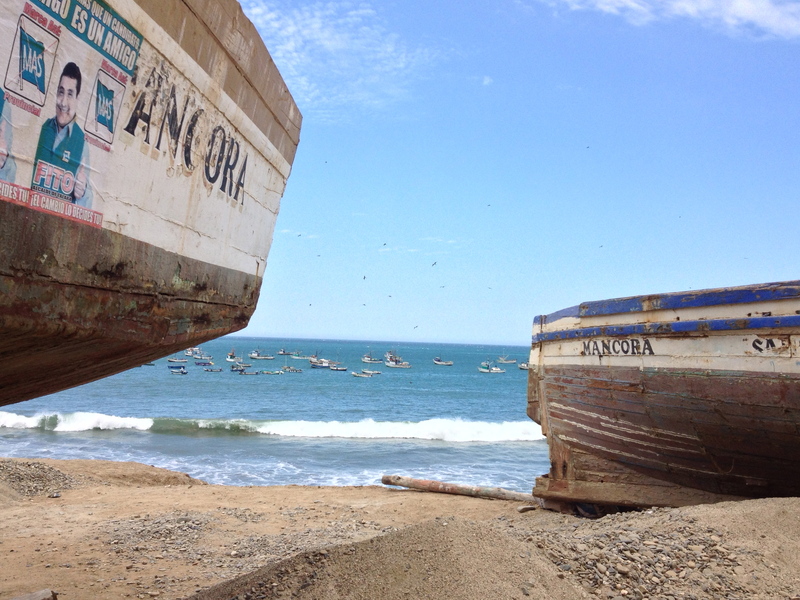 But this also is something the film captures so well: we don’t know until we get there how we’ll do. What will make us recoil and what will inspire us to rally. The most brutal scene for me was when Alice tries, and fails, to follow the suicide instructions she had left herself earlier in her illness. I remember reacting this way to the same scene in Lisa Genova’s best-selling book by the same name. It is perhaps the cruelest aspect of Alzheimer’s: death with dignity, as we call it in the state of Washington, is impossible. And yet: in the final scene of the movie, we see that Alice, now beyond words, is still capable, somehow, of love, thanks to the daughter who is still there to give it. I didn’t have Lydia’s strength and devotion. But lucky for me, I had brothers and sisters, children, nieces and nephews. Together, we did the best we could. Still Alice is a small, slice-of-life film. It is only one Alzheimer’s story. 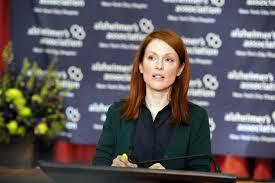 But thanks to Julianne Moore, who has been nominated for an Oscar for her performance, and Kristen Stewart, who should have been, the movie treats this horrifying illness with exactly the compassion and courage that Alice moans is missing from the way we view Alzheimer’s: never guessing that by the end of her story, she herself will be raising the bar.